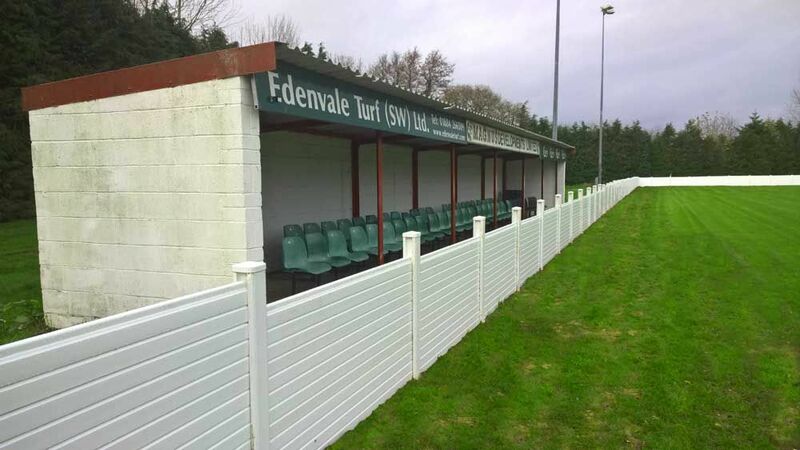 If spectator barriers are required with boarding to prevent spectators from going underneath then the PVC infill system is best. The posts are concreted directly into the ground to give stability and are solid posts with slots for the individual planks to slide into. The planks come 300mm and 150mm deep and three large planks and one small plank gives the perfect height. The posts have neat post caps and are maintenance free only needing an occasional wash down with hot soapy water. A sturdy strong system when installed that is designed to take lightweight removable signage. Special corner posts give a neat corner intersection and Gates for players, ambulances and grass cutting equipment can be easily made to suit different locations. 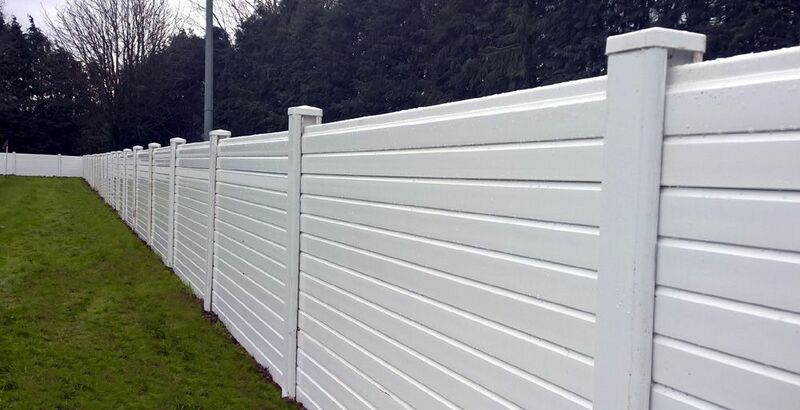 This system is more expensive than a basic post & rail but looks fantastic when installed around a football pitch. Economical external signs (for use outdoors) can be supplied to attach to the PVC Barrier planking. These can be supplied 750mm high as per photographs and in various lengths. See related products below. 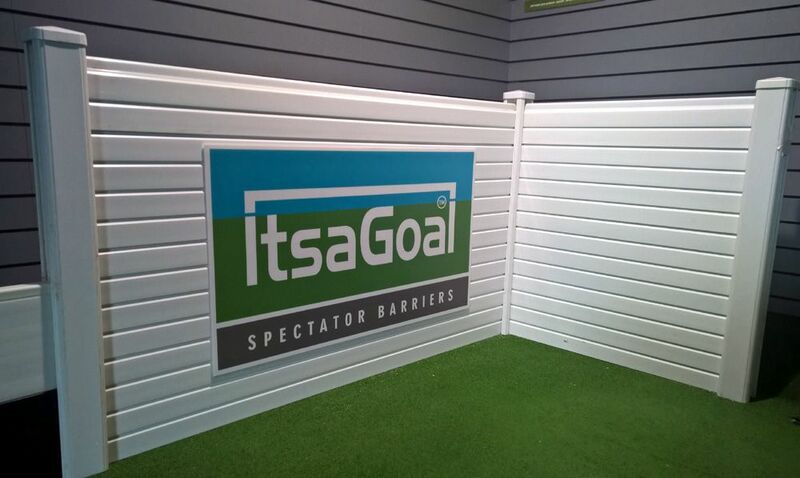 For more information telephone our technical director on 07803341483 or email andrew@itsagoal.net with the length and width of your area. Advise us how many sides you need and a quotation with the latest prices will be sent by email.